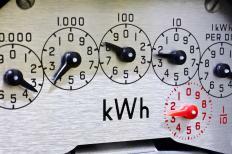 Utilities should factor into cost of living allowances. A cost of living allowance is a type of stipend designed to help households receive enough in the way of monetary support to allow recipients to enjoy a reasonable standard of living. The basic idea with this approach is to provide a consistent amount, usually on a monthly or biweekly basis, that is sufficient to cover the costs of all basic living needs like food, clothing, and shelter. The actual amount of the cost of living allowance is based on the consumer price index that is relevant to the area in which the recipient lives and may be adjusted from time to time in order to allow for inflation that adversely affects the purchasing power parity of the amount received. There are a number of situations in which a cost of living allowance may be provided to qualified individuals. It is not unusual for members of the military to receive this type of benefit, especially when the military member of the family is assigned to remote duties. In this instance, the spouse and minor children of that member are provided the allowance as a means of covering basic living needs for the duration of that remote assignment. Recipients of funds from a trust account may also receive a designated cost of living allowance. Depending on how the trust is structured, the recipient may be allowed up to a certain amount of money each month for living expenses, with the executor of the trust having some discretion in making additional disbursements under specified circumstances. This approach is often due to the desire of a parent, partner, or spouse to provide some sort of steady income for a loved one in the event that the founder of the trust should pass away. The amount of the cost of living allowance may be adjusted from time to time, based on increases in the cost of living index and how successfully the investments associated with the trust are in terms of generating returns. In any form, a cost of living allowance is usually intended to provide the financial basis for an equitable but not particularly opulent standard of living. The amount is usually sufficient to cover basic expenses but not enough to afford a lavish lifestyle. What the cost of living allowance does accomplish is ensuring the recipient has enough money coming in to manage basics like a rent or mortgage payment, utilities, and the ability to buy food. Based on how the proceeds from the cost of living allowance are managed, it may be possible to combine these funds with income earned from a part-time job and enjoy both the basics and a few extras. What Causes an Increase in Cost of Living?